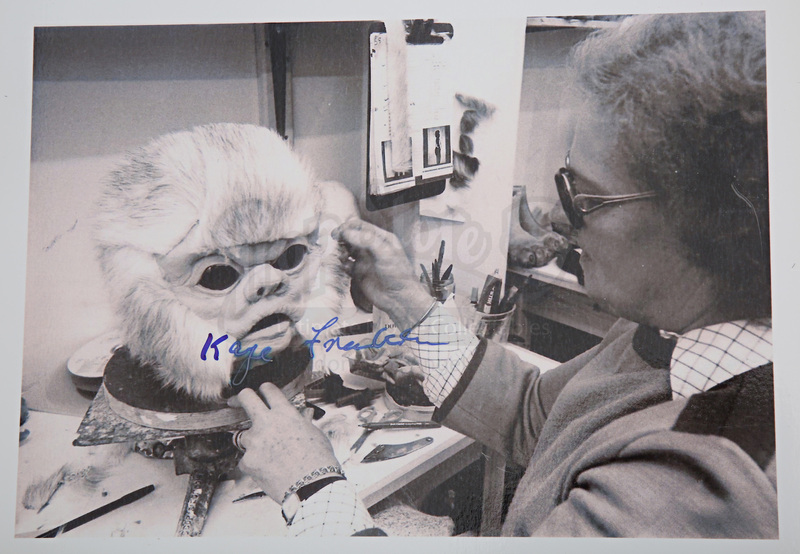 A autographed behind the scenes photo from Richard Marquand's Star Wars: Episode VI - The Return of the Jedi. 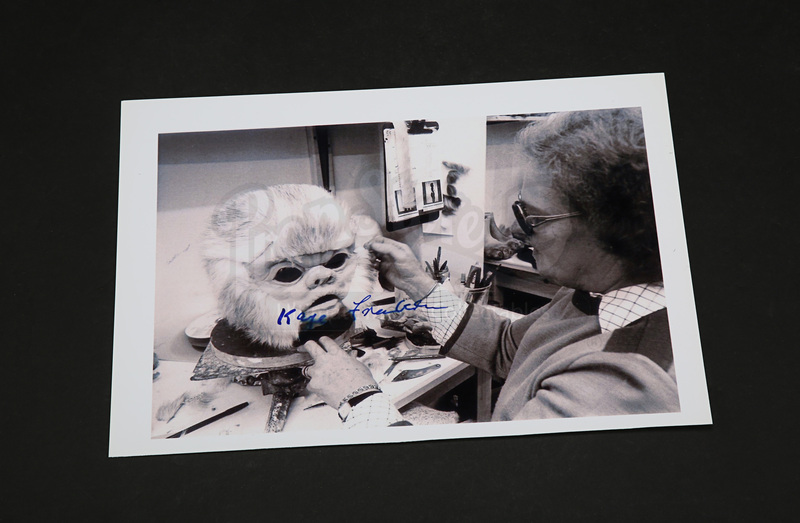 The black and white image shows renowned makeup artist Kay Freeborn creating prosthetics for one of the Ewoks. Displaying a white border, the photograph is autographed by Freeborn in blue marker and remains in excellent condition. 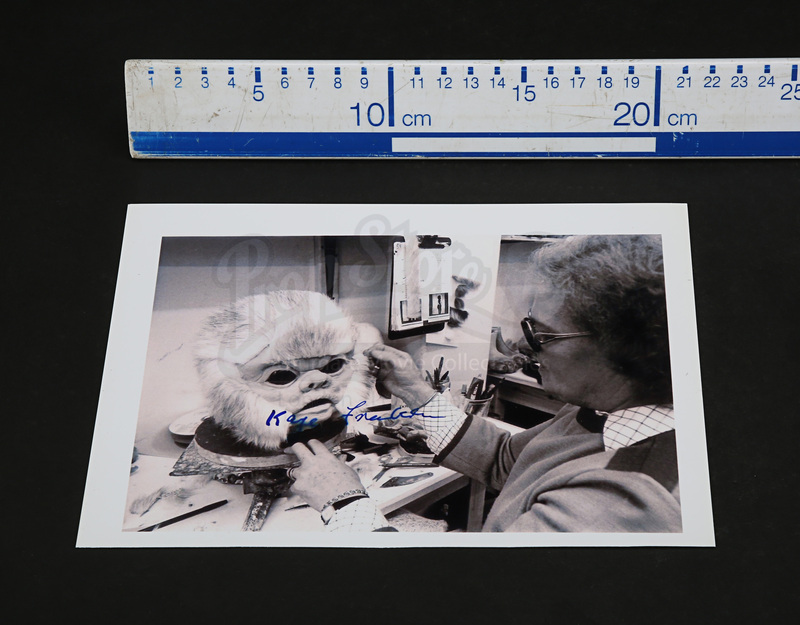 The image measures 6” x 8 ½” (15 cm x 21 cm).